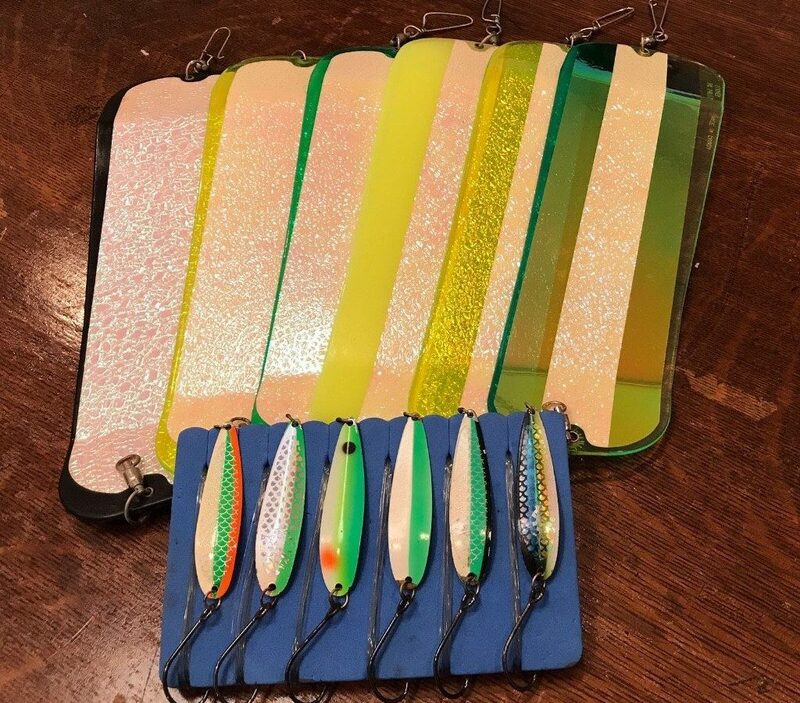 Must have winter chinook flashers and some of my favorite spoons these past few months. Well finally it looks like there is a little break in the wind coming up with winds light in the forecast for Saturday and Sunday, although that could change by Friday night. Lets hope not, I have had enough of the big wind forecasts. Too bad the rain won’t leave us alone as well, although I will take the 10-15 mm in the forecast over the 50 + mm from last weekend. The fishing remained consistent this past week on our guided trips and with the winds knocking off this weekend I expect it to be on the busy side of things. Eddie is booked this weekend and I plan on doing some personal fishing too, so see you out there. Tough to pick a spot with the fish being well distributed through Howe Sound and with winds light it can be a good bet to hit Gabriola or Galliano. Glow flashers and spoons with some glow on them in smaller sizes, like the Kingfisher 3.0 and Skinny G, have remained consistently productive. I was organizing some of my flashers last night and tying up some fresh spoon leaders and took some pictures to share with you. So here is what will be on my boat on Saturday. Crabbing and prawning have also been pretty good and we are right in the middle of prime time for winter chinook, so give Lars a call at 778-788-8582 to book your trip.